AI-focused marketing team to speak at AppExchange, showcase recently-launched Traffic Cloud™ software. DemandJump, an Indianapolis-based artificial intelligence marketing technology company that focuses on prescriptive attribution for marketers, will be attending the 2017 Dreamforce conference in San Francisco on November 6 - November 9. 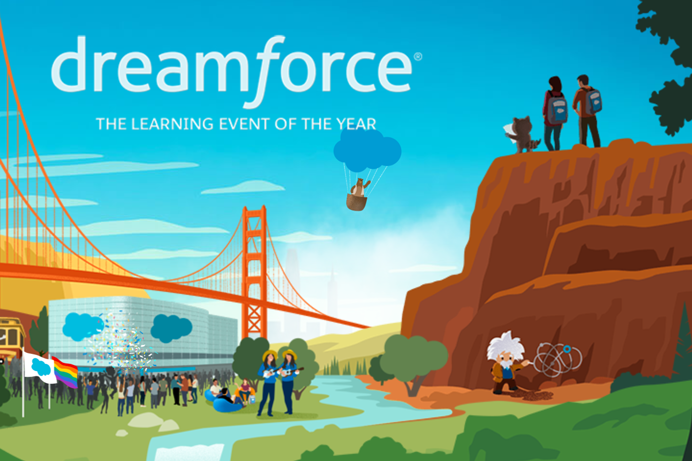 Dreamforce is an annual conference hosted by Salesforce that features thousands of sessions, networking events and more. Julie Lyle will be speaking as part of a panel at the Dreamforce AppExchange on Monday, November 6 from 9-10am in Moscone West, on the 3rd level, Hall D. She’ll be discussing the benefits of using the AppExchange, and how it’s helped DemandJump leverage partnerships to grow business. DemandJump welcomes any meetings with press or conference attendees to explain what DemandJump does, including their new Traffic Cloud™ software, aimed at identifying the most powerful traffic sources and helping marketers better allocate their marketing spend.